Whether you just adopted a new dog, moved to a new area or are unhappy with your current vet, I’ve got some valuable tips to help you find a good vet for your dog. A few years ago, I was in the awkward position of having to switch to a new vet. I liked the personality and caring nature of the vet I was using and Haley was very comfortable going in for her visits, but unfortunately the quality of care just wasn’t up to par. I felt bad leaving our old vet, but Haley’s health was far more important than my personal feelings. Here are the things I considered during my search to find a good vet for Haley. The best place to start is to ask friends, family, neighbors or co-workers what vet they use and what they like about their vet. Word of mouth recommendations and other people’s experiences with vets in the area are extremely valuable, especially if you ask dog owners that expect the same level of care that you would like for your dog. 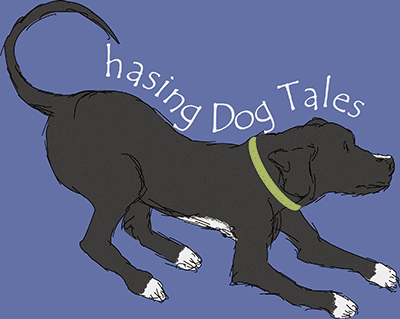 Local shelters, groomers and trainers are also helpful when looking for recommendations. Once you have some recommendations, check out the websites of the vets to get additional information about the staff and services that are offered. Read online reviews of vets in your area, but remember that reviews can be subjective because clients with a bad experience are usually more motivated to write reviews. Keep an open mind and use reviews to spot trends or to help you formulate questions to ask when you schedule a tour. Before scheduling an appointment or taking a tour, double check the vet’s qualifications. Make sure they are licensed and search for any registered complaints against them by visiting the veterinary medical board’s website for your state. Inquire about any additional certifications or continued education that is beyond what’s required by your state or search the American Board of Veterinary Practitioners (ABVP) website for additional certifications. It’s important that a vet is knowledgeable about advances in veterinary medicine so your pet can receive the best care possible. Also, be sure to ask about additional education and experience in holistic or alternative medicine if that’s important to you. 4. Is the Hospital AAHA Accredited? My new vet’s hospital is accredited by the American Animal Hospital Association and it makes a huge difference in the quality of care and attention that we receive. AAHA facilities are held to a higher standard and are evaluated on a regular basis for nearly 900 standards of veterinary care. Visit the AAHA website to learn more or to search for accredited vets in your area. Stop by the vet’s office to introduce yourself and inquire about scheduling a tour. This will give you a good first impression about the friendliness of the staff and the feel of the facility. Some vets may charge a fee if you want to have an extended one-on-one chat but most are happy to give potential clients a tour and talk briefly about their services. The office area should be clean and well organized with a friendly staff and the facility should include an adequate range of medical and lab equipment to diagnose and treat common conditions without having to refer you elsewhere. If they have a wide range of modern equipment, it means they’re interested in investing in new technology and the healthcare of their patients. Also check the condition and cleanliness of any onsite kennels and ensure dogs and cats are kept in separate areas. Having a medically-qualified vet is essential, but it’s just as important that your new vet has a good tableside manner. They should be a good communicator and demonstrate a compassionate attitude towards your pet. It’s important that they don’t rush through the appointment but take adequate time to listen to your questions and address any concerns you might have. They should perform a thorough exam during each visit and relate to your pet in a positive, calm and caring manner. Look for office staff and vet techs that are friendly and welcoming to you and your dog. They should treat all clients and pets well and have a positive, caring attitude. In larger offices and hospitals, your pet will be dealing with the staff more than the vet, so it’s important that they are competent and also have good communication skills. Accurate information and instructions should be relayed to you in a timely manner and you should receive medical related information along with your bill that outlines any procedures that were performed so you can retain a record of your dog’s health. 8. Where’s the Vet Located? Location is not the most important thing, but if you can find a good vet that’s close to home, it’s ideal in case your dog has an accident or medical emergency. Haley once had an allergic reaction to a vaccine and I was so thankful that our vet was just minutes away so we could rush her back to the office for quick treatment. Not everyone is fortunate enough to have a good vet that’s located close to where they live, but it’s something to consider when evaluating your options. Inquire about whether the vet can perform common diagnostic procedures onsite (x-rays, blood work, ultrasound, EKG, endoscopy, etc.) Are they equipped to perform common surgeries and do they have adequate equipment and staff for surgical monitoring and during recovery? What is their philosophy on pain management? Do they offer after-hours emergency service for their clients? It’s more convenient and less expensive if your vet can handle many of these services instead of referring you to another facility or a specialist. 10. Does the Vet Fit Your Budget? To find a good vet that also fits within your budget might require some additional searching, but it’s worth the trouble since vet bills are pretty expensive these days. If you have pet insurance, make sure the vet accepts your insurance plan. Good vets will be upfront about the cost of treatment, especially if your pet needs extensive treatment or surgery. They will also explain what they feel is necessary versus what would be considered optional treatment and many offer discounts for families with multiple pets. Most vets now offer financing through programs like Care Credit or other third-parties which is a valuable option if you’re suddenly facing a large, unexpected expense from an accident or illness. If your vet is constantly pushing food, supplements or other products, they may be more concerned about their profit margin than the health of your dog. Choosing the best vet for your dog can be a confusing decision and the one thing we often overlook is our own intuition. If you’re having a problem with your vet or you feel they’re not providing the quality of care you expect, don’t be afraid to talk to them. Give them the chance to hear your concerns and address the issue first. If you can’t resolve the matter or the relationship just doesn’t feel right, trust your instinct and look for a new vet. One of the best decisions I’ve made for Haley was to trust my gut instinct and make the move to our current AAHA-accredited vet. Even though they charge about 10 percent more than my previous vet, their quality of care is at least 50 percent better and if you ask me, that’s money well spent. Once you find a good vet for your dog, make sure you’re doing your part to make vet visits productive. What are the most important qualities you look for in a vet? 7. make sure the best technician works there 😉 (that’s me) 10 great tips! thanks for sharing. One should be comfortable with their vet. Yes! 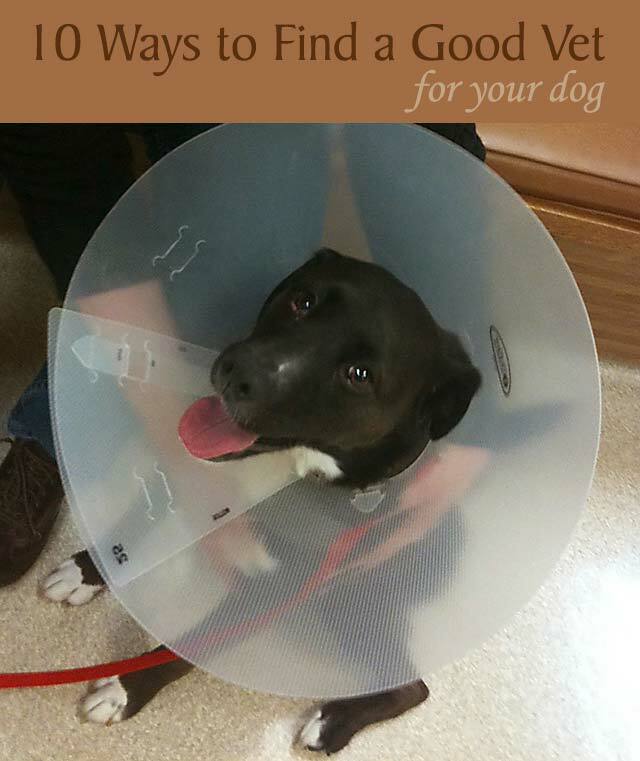 Our vet has wonderful vet techs too and we really appreciate everything they do for Haley. ? Good tips. It took us many vets when we moved back from Europe before we found the right fit, but when you find it, you know it. Yep, your instinct lets you know when you’ve found the right one. Great tips and your timing is perfect! We’ve literally just moved to SC this week and I have to start this process soon. It’s scary because our vet in VA was incredible, and I dread the search for a new one. Thanks so much for posting this. Great job! Thank you, Cathy! You’ll have to let me know how the search goes, but I’m sure there are wonderful vets there in Charleston who are going to love Harley and Jax and take great care of them. These are such great tips, every one of them! Thanks for putting these together. I’m sorry you had to leave a Vet you liked, but it’s important that the level of care, from the person behind the desk all the way to the Veterinarian, be up to par. Sharing. Thanks for sharing the post, Cathy. One of the things that made leaving so hard was that Haley really liked our old vet and was so comfortable with him. She was more nervous at the new vet’s office at first, but now she’s much more relaxed during her visits. My vet is amazing! I went through 3 different ones before finding who we are with now, and I wouldn’t dream of going anywhere else! I’m so happy you found the perfect vet for your Sibe Tribe (and new kitty, now)! Hopefully they give you an extra bone when you get stung by a wasp. ? 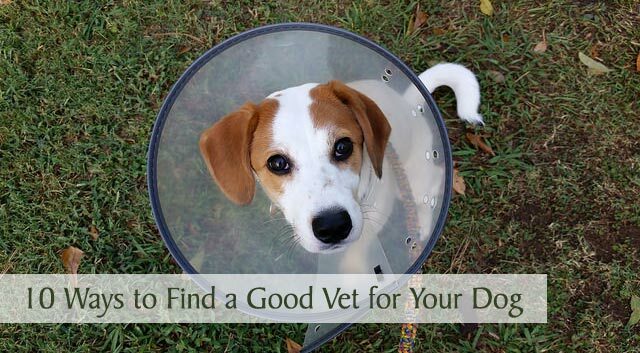 These are all great suggestions for finding the perfect vet. I find that location and the hours of operation are one of the most important aspects for my family. There are two vet offices near my home, but one open nearly 24 hours a day, 7 days a week. Even though the other vet has a great reputation, I often head to the 24 hour vet because there is always someone on hand to treat my dogs. It does make it more convenient if a vet is available 24-7 or at least has some evening and weekend hours. Our closest emergency hospital that’s open 24-7 is about 25 minutes away. That’s a long drive if you’re dealing with a critical injury or illness. These are really great tips and very helpful in finding a vet for new pet parents but also good tips if you have to find a new vet. I am fortunate that I have 3 vets within a 10 mile radius. 2 are in walking distance. They are AAHA accredited and have very friendly staff. However, do you sometimes notice when staff changes happen that sometimes it is no longer one of your favorites. I had this happen with one vet. As he retired and things changed with staff it was not what it used to be. It became more of an assembly line type appointments. Needless to say, not on my good list any longer. Thanks for this – very timely as I’m starting to consider a new vet for Jack & Maggie. Shared it. Thanks so much. I’m sending good thoughts and prayers to Maggie and all of you. Having good quality care is vital when facing what Maggie’s going through right now. The first vet we took Daisy to almost killed her. He was highly recommended by friends of ours, but he totally ignored or missed the fact that she had an obvious respiratory infection. She got worse and worse and became so sick, we knew we were losing her at only 2.6 months of age. We brought her in to see him 3 times and each time he said she was “perfect”. We pointed out her breathing issues and he just shook his head and said we were overreacting. We later discovered that he and his colleagues were part of a “corporate chain veterinary group” – not an independent veterinarian, but one that’s run by a corporation whose goals are to make money and sells lots of dog products too (he did try to push products in his waiting room). I had no idea there were such things, and once we found a good vet who saved her, I did some research and discovered that corporate chain vets are not recommended as a general rule. Our current vet is amazing and I’m so grateful we found him. Oh my gosh, that’s horrible to have almost lost Daisy at such a young age. I’ve never heard of these corporate chain vets and at first I thought you were maybe talking about vets that visit pet store chains. Thanks so much for sharing this information and your experience, it’s definitely something to be aware of and to watch for when choosing a vet. I’m so glad you found a wonderful vet now to care for Daisy. All of these are fabulous ideas. I am a firm believer in the AAHA accreditation! Our vet is AAHA and you are right, it makes an incredible difference. It really does and it shows from the minute you walk in the door until when you leave. They deliver a very high-quality level of care. I’ve been taking my girls (including my first one) to the same awesome vet for over 15 years, so hopefully I won’t need your tips for quite a while. But they’re great ones so I’ll hang on to them just in case. I hope you won’t need the tips either, it sounds like you’ve found a fantastic vet! ? It’s so important to have a vet both you and your dog feel comfortable with – and these are some excellent tips to achieve just that! I love the point about evaluating the vet’s personality. I think the main reasons I love our vet is because she’s open minded, listens to any concerns and is genuinely very caring. The other day, Cody and I went to the vet for Cody’s his annual injections. I mentioned my concern for the build up around his teeth to our vet, and when we got home, I noticed she had cleaned Cody’s teeth while he was out the back, getting his injections. She hadn’t mentioned she was going to do that and she didn’t charge for it either. It just showed me that she was such a genuine and nice person – I don’t think any other vet would have done that for us! Great tips and ideas. It looks you’ve covered everything. Thanks for sharing! Thanks, Jeanne! I’m glad you checked out the post and found it helpful. ? Great tips thank you for sharing! I’m so glad you liked the tips, thanks! ? Excellent tips. Especially when you can get good recommendations. I’d also add to run, not walk, if you suspect something is wrong. No matter what other things indicate a vet might be good. We took our first dogs to a vet on the SPCA list for doing their required spay surgery (at the time guidelines recommended you wait until a dog was at least 6 months before spaying). The vet had his own radio show. And he was on the recommended list from the SPCA. And he was very nice and appeared to treat the dogs well. But the office smelled terrible. We fasted the dogs as required before their surgery and came in to pick them up after work. We were told the doctor didn’t get to the surgery and we’d have to come back tomorrow. I wondered if they had eaten given the fasting requirement but ignored my misgivings and agreed to come back the next day. Still, no surgery. And dumb me who was naive and afraid of making a fuss and a first time dog person left them again. When we finally picked up the girls, they were wet with urine, smelled terrible, and were infested with fleas. I feel worse that I didn’t look out better for my girls. But never again. I know exactly how you feel, Pamela. We often make the assumption that a professional, like a doctor or vet, knows what they’re doing and to question them would be insulting. In my case, I didn’t question my vet’s diagnosis of a bump on Haley’s foot for months and months as he thought it was an infection or that she had stepped on a thorn (even though the bump was on the top of her foot and continued to grow after two rounds of antibiotics). I asked if he could aspirate the bump but he didn’t think it was necessary. Long story, short…that led to getting a second opinion and luckily finding Haley’s new vet. He was able to aspirate it onsite and found it was a cancerous growth. Thankfully, it wasn’t the type that usually spreads but it needed to be removed. Haley had also been misdiagnosed as having ear mites (for years) and our new vet informed us that it was actually a yeast infection which was easily treated with one application of medicine in his office. I felt so bad that she suffered with those itchy ears for so long but the bump was what taught me not to be afraid to question something that doesn’t seem right and to follow my gut instinct. Excellent post! I couldn’t agree more about doing your best to find a veterinary hospital that is AAHA-accredited. Even though they may be slightly more expensive, you’re more likely to get superior care, making it worth every penny. It’s also a good idea to make sure that whatever hospital you choose has at least one Registered (or Certified) Veterinary Technician. Not all states require veterinary technicians to be certified, so it’s important to know that the technicians at your hospital are formally-educated (by a state-approved college or program) and registered with the state (with ongoing continuing education). Since vet techs are the veterinarian’s right hand, having the best ones available provides even more peace of mind. I’m so glad you mentioned this, Camille. I didn’t realize that vet techs in some states don’t have to be licensed or certified. That’s actually kind of scary since they do so many different procedures and provide much of the care that our pets receive while at a clinic or hospital. Great tip and something important to check out when choosing a vet, thank you! These are excellent tips! I didn’t know the value of my veterinary office until they lost power one day when Misha had an allergic reaction. I took her to a Vet that a friend recommended noting they were much cheaper. We thought Misha might have an insect bite reaction or fracture, but couldn’t tell. She couldn’t walk but wouldn’t let me explore the leg. Misha is very shy and intimidated at the vets office. When she wouldn’t come out of her crate, the vet picked it up and dumped her on the ground. She then said “That probably wasn’t the smartest thing if her leg is broken.” I was horrified. I am sure there was a better way to go about it such as me going back to the waiting room, removing her, then bringing her back. I have never taken her back there even when it has been inconvenient or more expensive at my own vets. It’s better to see someone that I trust and understands my dog than to see someone else because of the price. Great tips. Will be helpful for someone looking for a vet. We lucked out when we moved to San Diego. Two of my sisters already lived here and they both went to the same vet and loved him so we just started going to the same guy. He’s really great, but we’ll have to decide if we want to stay with that practice or move to one closer to home once he retires. It was nice that your sisters had already found a good vet for you when you moved. Our vet is getting around retirement age too but I hope he’s planning on practicing for awhile yet. We’re on the lookout for a new vet. The vet at the near practice I liked retired and the further away vet is always booked and we can’t get in without at least a week’s notice. The last vet we went to (well technically the vet tech) misdiagnosed Mr. N with a luxating patella and I freaked out. Wow, a lot of our beloved vets are retiring or near retirement. ? I imagine the vet tech probably wasn’t supposed to mention what they thought was wrong with Mr. N until they got test or x-ray results. I hope you have good luck in your search for a new vet, hopefully you’ll find one that’s not too far from where you live. I think they usually don’t take x-rays. The vet manipulates the knee to see if it “pops.” After the tech, the vet tried and couldn’t make either one pop (the tech said he had it in BOTH knees). Little dogs are prone to it so I’ve asked another vet about it specifically and they said he didn’t have it. Oh my gosh, I bet you were so relieved to get another opinion and find out he didn’t have that, especially in both knees! That’s another reason I’m hoping my vet doesn’t retire soon, all those years of experience in diagnosing difficult injuries and illnesses are really beneficial. Those are great tips, Elaine! Our current vet is not AAHA accredited. We have been with them since moving from Virginia to North Carolina, and are overall happy with them. What I do like is the very friendly staff & the wonderful care Missy received there during her cancer treatment, as well as the military discount they provide (they are close to Ft. Bragg where my husband is stationed). This particular vet was able to diagnose Missy’s thyroid cancer, but referred us to a K9 oncology clinic in a larger city about an hour away from us. It was there that Missy’s surgery was performed and where she received her chemotherapy sessions, but our regular vet checked her white blood cell count in between those sessions. I’m not crazy about seeing the Royal Canin dog & cat food that’s displayed in their waiting area, but at least they don’t actively push it on their patients. If I had the choice, I would like to take the pups to a holistic veterinarian, but the closes one to us is over an hour away. It sounds like your vet did a great job in diagnosing Missy’s cancer and checking her blood count while the specialist treated her. I’m interested in holistic vets as well, but I don’t think there are any in my area either. I’m so thankful that Missy’s doing well and I’m sure the excellent diet she’s getting will go a long way in helping to keep her healthy. I just adopted a new dog, so I need to find a good vet that will help take care of him. Choosing a pet hospital that’s AAHA accredited seems like good advice. If this means that a pet hospital provides quality care to animals, then I should add this to the criteria for choosing the right vet for my dog. Hi Judy! The AAHA accreditation really does make a difference in the quality of care. I hope you find a wonderful and caring vet for your new pup. ? I like all your tips, but my favorite is your tip about scheduling a tour. I think this because it is often the one action most clients forget is an option. It is also important, as online reviews may not be completely accurate. I would also advise everyone to go with their gut instinct. If a place feels right, it usually is, while if the opposite occurs, there is most likely something wrong. That’s great advice, Luke. Our gut feeling or instinct is usually right. Sometimes we ignore that feeling because we want to be polite or we second guess ourselves, but it’s usually spot-on! ? I just recently adopted a puppy, and I’ve been thinking about which veterinarian I’m going to take her to. I’ve never owned a dog before, though, so I’m happy that I found your tips! I liked how you suggested I ask my friends and family if they know of a good vet that I could go to. I have a good friend who owns several dogs, so I’m sure that she’d be able to give me a great recommendation! I’ll be sure to ask her which vet she takes her dogs to the next time that I see her. Thank you for the advice! I’m glad the tip was helpful, Monica! I noticed that recommendations are often influenced by how much a particular vet charges too, so I always ask what people like most about the vet they recommend. Good luck with your new puppy and the vet search! ? It can be a hard process finding a veterinarian that your dog is comfortable with. 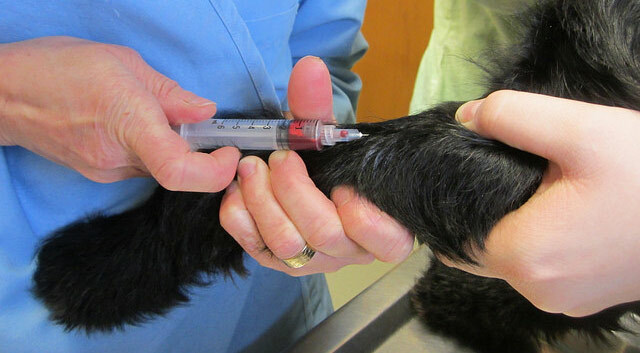 There’s nothing wrong with taking your dog to multiple clinics and testing them out. It may be a bit tedious, but your future visits will go much better if you take the time to find the right one for your dog. For some reason, I think a lot of people stick with the first vet they visit, unless they have a major concern. But it’s a great idea to try several before settling on the one that’s best suited for you and your budget. Thanks for your awesome tip, Jack! I really like your idea of doing a tour of a pet clinic before you sign on with them. After touring a few, though, you might realize that there isn’t necessarily a right or wrong answer, in some instances. If that happens, you’ll have to go with your feelings when you were in the clinic — our first impressions are usually correct. We are planning on getting a cat next week, actually, so I’ll have to remember all of these great tips when we start looking for a vet. Perfect advice, Jalu! That gut feeling will rarely lead you astray. I agree that it is important to evaluate your potential vet’s personality to gauge if they will be a good fit for you and your pet. Although a vet may be very good with animals, it can be very frustration when they have little regard for owners. It seems like a good idea to pursue finding a vet that can communicate with you to answer your questions or concerns. Yes! It’s kind of like finding a good doctor that also has a good bedside manner. Sometimes we have to decide what’s more important (especially when there’s a serious health issue) but if you can find both qualities in a doctor or vet, that’s a keeper! I agree finding out if the Vet’s has the right medical qualifications is important, but I think getting along with your Vet’s personality is also a good thing to consider. You need a Vet that cares about their jobs and takes the time to care for your pets. Great tips for choosing a vet. Something else I have found to always be important is finding a vet that your animal trusts as well. It makes life easier on the vet as well as the animal. You mentioned asking for recommendations when choosing a vet. I think that’s really solid advice. I’m trying to find a good vet clinic for my dog, so I’ll definitely ask around and see what others have to say. The best part of your article for me is when you talked about the importance of choosing a veterinarian that can take his time to listen to your questions and address any concerns that you might have about your pet. My husband gave me a dog as his birthday gift to me. It’s important for me to make sure that I can give my Shi Tzu the regular checkups that he needs to ensure a good health. Since this is my first time to own a dog, it’s crucial for me to find a vet that will be glad to address all the concerns and questions that I have about the health of my dog. I will make sure to consider all your tips for finding the best vet. I totally agree that the other people’s experiences with vets in your area are valuable in finding a vet that can provide your dog the best level of care. My mother went home yesterday with a pet. According to her, her new dog was given by a friend. Since the dog looks lethargic, it’s important for my mother to have the dog checked by a professional vet. My mom is a pet lover, so it’s imperative for her to ensure that her dog is going to be taken care of properly. It will make sense for her to ask around for recommendations of a good vet to ensure that she will be directed to a vet that can provide excellent service. I will make sure to share your blog with my mother. I actually don’t know how to start finding a good vet that I can visit with my new puppies for a check up because I’m new here in my place. This is why I’m glad that you suggested asking your neighbors, family, and friends for a recommendation of a good vet. It will surely be easy for me to find a good vet if I can get help from my neighbors. Thanks for sharing your tips. 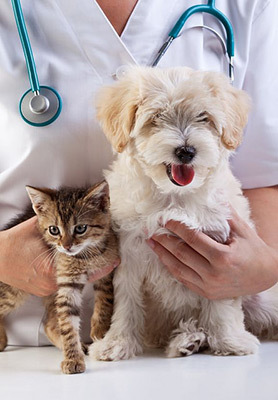 I never knew that it’s ideal to choose a pet hospital that’s accredited by American Animal Hospital Association (AAHA) to make sure that you can expect a quality care and attention. This is something that I will make sure to remember because my dog is about to give birth, and I want to make sure that I can find a pet hospital where I can have her and her new puppies checked as soon as she gives birth. My goal is to ensure a quality care for them so I can be confident that they are in good condition, so I will make sure to find a pet hospital that’s AAHA accredited. Thanks! I do like that one of the questions you ask in the article is about the vet’s location. After all, when your dog is sick or having an emergency you will not want to drive for too long to get them help. In fact, it might even help to see if the vet offers emergency hours as well just in case your pet gets sick in the middle of the night. It was nice to know that you can ask for recommendations for a vet from your neighbors and friends. As you said, you can ask them what they like about their vet. My husband and I want to bring our new dog to a vet because we want to know if he has health issues that we have to be aware of. There are times that he keeps on scratching his bod, so we’d like to know if he is suffering from skin allergies. We’ll do all your tips to find the best vet.